Jonkers' Metyo has established himself a reliable producer of sports ponies, the eldest of which have been successfully competing at BE100. He is an excellent choice for all types of mares, has extremely good fertility & his foals are particularly correct in conformation. 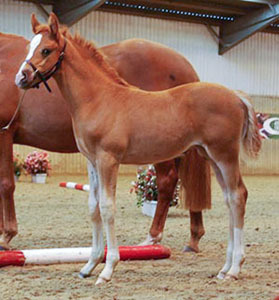 Metyo is a Dutch part-bred welsh pony whose bloodlines go back through several generations of outstanding riding ponies and he was graded by the NWPCS in 2003 gaining high scores for his canter, character, behaviour in the stable and his capability as a sport pony. 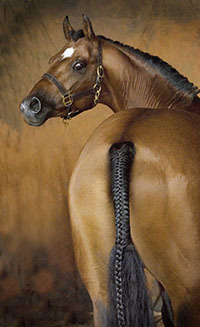 Metyo’s bloodlines go back through several generations of outstanding riding ponies, who were selected for conformation, performance and temperament. Many people who use him today were riding his ancestors as children, which provides a sense of confidence about breeding from a healthy and reliable gene pool. Sire: Highmead Duty Free, an approved part-bred Welsh stallion in the Netherlands, has high quality riding pony ancestry combining the top-class pony sire Small-Land Mambrino with the that of the Oakley “Bubbling” line as well as the influential Bwlch Zephyr. Many of Metyo’s relatives are known for being successful competition ponies & horses; Downland Chancellor by Small-Land Mambrino was a 2* eventer & Grade B showjumper. Gazelle III was a TB mare and her influence is apparent both in Metyo & his offspring. They have a good length of limb & turn of speed, which was very apparent when he was hunting as he was able to keep up with a field of horses all day. Dam: Janet (part-bred Welsh & graded ‘Keur Preferent’). Her damsire, Purpur was a Russian Arab and her granddam was a WPCS Sec A.
Damsire: Tetworth Crimson Lake (Welsh Sec B) one of the most influential Welsh ponies in both Dutch & German sports pony breeding. 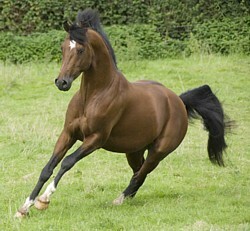 Metyo was bred and graded in Holland before coming to the UK as a 3 year old. 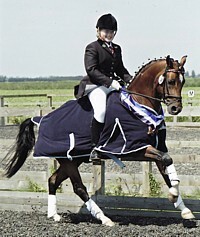 He competed successfully in dressage with his first junior jockey and was 3rd in the Snuggy Hoods National Dressage Pony Championships as a 5 year old, scoring 70%. He moved to his current home as a 6 year old and has since been hunting with the West Somerset Vale Hunt and show jumping in junior classes. 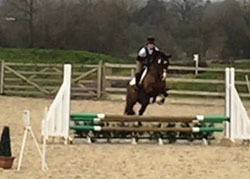 Since being in Somerset, he has been competed by a variety of small riders. With Chad Rowson he gained points at British Dressage Novice level and competed at the 2009 Burrows Court Farm Area Festival. 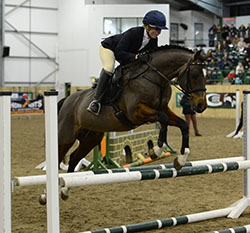 With Linzi Hardingham, he competed at British Eventing, placing 2nd in a BE80 class. His current jockey took the ride when she was 13 and says she loves being on him as he is so honest and loves to work. 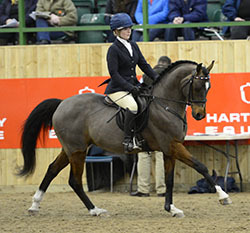 Metyo is pictured below at the 2013 BBSH Stallion Event where he paraded in front of an audience of around 600 breeders. 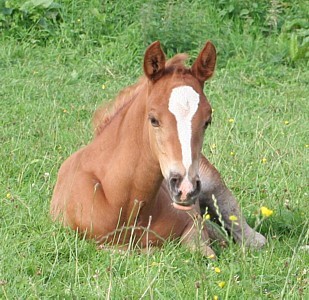 Metyo is a popular choice for both horse and pony mares and his foals are particularly correct in both conformation & temperament. His oldest progeny, born in Holland in 2004, include licensed stallions and graded mares and others are now competing in dressage and jumping. 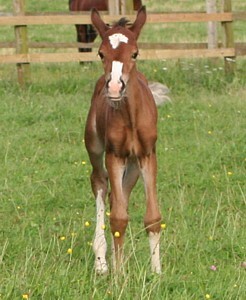 Metyo's first UK offspring were born in 2008. 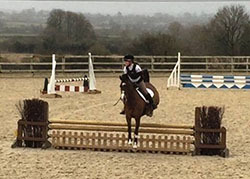 All his foals scored Higher First premiums at the BEF Futurities in 2010/2011 and Fairlight Mondavi qualified for the eventing finals at Osberton and was the only pony in his age group. Fairlight Moondance was Champion Pony at the SPSS Youngstock Show in 2011 and Reserve Supreme to Woodlander Wales in the overall championship. In 2013 Fairlight Daddy’s Girl was just 0.08 from a Futurity Elite score. 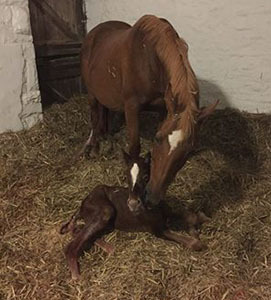 An international event rider used Metyo on her ISH mare to reproduce the bloodlines of her best 3 day horse and they produced a fabulous filly. In 2016, a filly foal was awarded an SPSS GOLD Premium and was SPSS Supreme Youngstock Champion (out of 60+ foals to 3 yr olds evaluated). 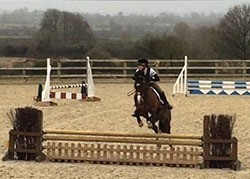 Metyo is the damsire of the eventing pony De Goede Rees Darwin who has won and been placed at British Eventing, including completing 2 BE90 Regional Finals without any XC (time or jumping) penalties as a 7 year old. De Goede Rees Darwin's dam Birds Eye View Irene is now competing at showjumping in Belguim. Pictured as an 8 year old.